There's nothing quite like biting into the creamy center of a premium quality gourmet chocolate truffle. 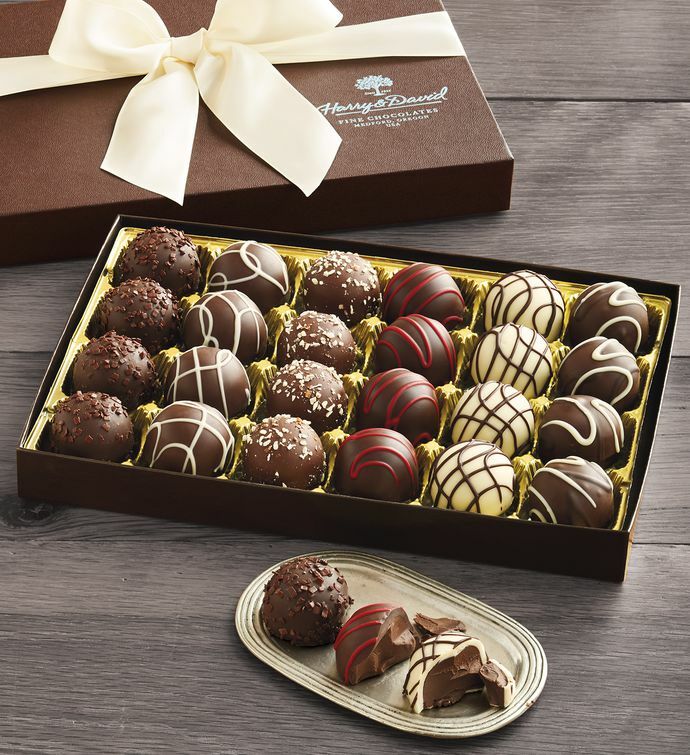 We've been using our signature truffle recipe for over 30 years, and it hasn't changed for a reason. Made in our candy kitchen in Southern Oregon using a proprietary blend of chocolate, these exquisite treats come in an array of flavors, like milk chocolate, white coffee, and dark chocolate cherry. Timeless and delicious, these silky truffles are a chocolate lover's dream.